“Digital convergence” is a word that has been thrown around since the early-90’s. It seems every company has tried its hand at it, but none have really succeeded. Now, however, digital convergence is starting to become a reality in the mobile space and the living room. There is no company better positioned to dominate this arena than Apple. As iPods and iPhones sell like crazy and the uptake on Macintosh computers grows strong, many believe that it is plain luck that Apple survived near bankruptcy and experienced a rebirth when Steve Jobs returned to the company [in 1997] he co-founded in 1977. However, this has not happened by chance, it is part of Steve Jobs’ master plan. The diagram below demonstrates a high-level view of the Apple ecosystem. Notice this isn’t the 3-legged diagram — Macintosh, iPod, iPhone (or the 4-legged one with AppleTV) — used to portray Apple. Apple is much more than that. Apple’s magic, of course, lies in the melding of hardware and software as one. Beyond this, Apple works closely with third-party hardware (Intel, Samsung) and software vendors (Microsoft, Adobe, Parallels), as well as integrating with media (via iTunes) and lifestyle (AT&T, car and home stereo systems, Nike+, etc). As we dig deeper, we will discover strategic moves that will push Apple further into the competitive fray, often in winning positions against its competitors. 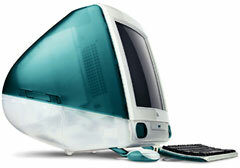 Apple’s first big move was releasing the iMac. Released in 1998, the goal was to make the Macintosh the hub of the digital lifestyle. This led to renewed interest in the Macintosh-line of computers. Apple Final Cut Pro is released in 1999. Apple’s push into professional video-editing, put them in direct competition with Adobe and Macromedia. 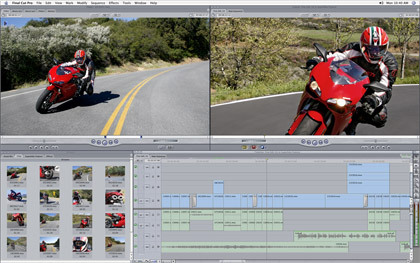 This would later lead to Production Suite and Final Cut Studio which includes: Final Cut Pro, Motion, Soundtrack Pro, DVD Studio Pro, Color, Compressor. Professional programs for editing not only video, but photography, audio, DVDs, colors, layering, etc. and used in movie studios around the world. Additionally, this would lead to programs like Shake, Logic, and Aperture and the inspiration of iLife. 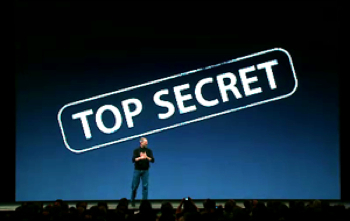 Apple OS X is a not-so-secret weapon. The server version was released in 1999, followed by a desktop version in 2001. So far no one can beat it. Not Microsoft, not Sony, not Samsung, not Symbian, not Palm. This gives Apple a great advantage with their hardware (as most/all their hardware uses OS X). OS X has so many innovative and disruptive, underlying technologies that it leaves the competition years behind: Automator, Bonjour, ColorSync, Core Data, Core Audio, Core Video, Core Image, Core Animation, Quartz, Quicktime, Rosetta, MultiTouch, Spotlight, Time Machine, security, stability, multi-core, scheduling, threading, universal binaries, and so on. Many of these OS X technologies are the result of Jobs’ company, NeXT, being acquired by Apple in 1996 — eventually bringing Jobs back to Apple in 1997. 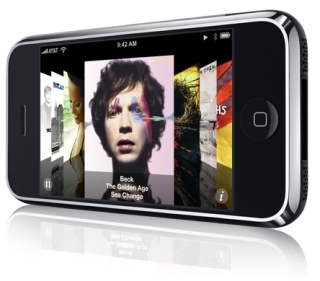 Apple’s next big move in digital lifestyle was the iPod + iTunes. 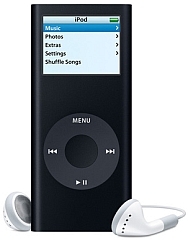 The iTunes was released in early 2001 and the iPod was released later that year. While iTunes was still an experiment, Jobs convinced the record labels to sign on because it offered digital rights management (DRM), called FairPlay, to prevent music piracy. At the time, record labels were scared that if their songs were online they would be pirated (as was the case) and no one would ever purchase a legitimate copy. As the iPod wasn’t very popular when the deal was taking place, the record labels assumed that the risk would be small if the experiment failed. When the iPod took off, people began using iTunes and money began pouring in. The labels realized that people would pay money for music online. This led more companies to sign on with iTunes, until it dominated the scene. Thus, the beginning of integration with media. Released in 2003. iLife runs on OS X only (with the exception of iTunes — which runs on OS X and Windows) which helps show case the OS X platform. It allows anybody and everybody to make movies, digital photography, make DVDs, and compose and playback music. This is the essence of the creative, digital lifestyle. 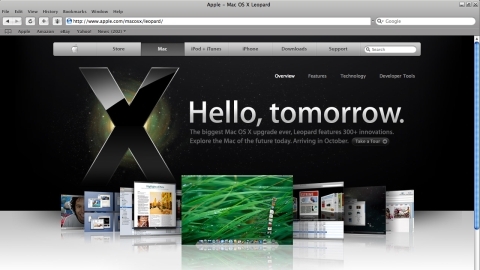 Realizing that the operating system is not the only platform, Apple released the Safari web browser. Released in 2003, Safari provides competition with Microsoft Internet Explorer, Mozilla Firefox, and Opera. While Safari’s market share is still small, it runs on multiple platforms — OS X (currently for the Macintosh & iPhone) and Windows — giving it plenty of potential to grow. At the same time, it allows Apple to remain in control of their ecosystem. 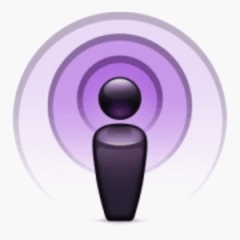 Podcasting became a built-in feature in iTunes in 2005. This simple move popularized podcasting. Now, people can broadcast their own video or radio shows/podcasts from their own studios for far less cost than a radio or television station. 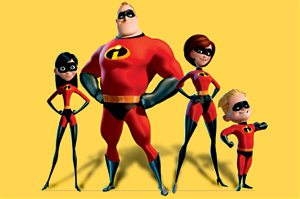 Next, Jobs’ used his ownership in Pixar and later The Walt Disney Company (he is the largest individual shareholder after Disney purchased his animation company, Pixar, in 2006) to leverage Disney’s content –which includes: ABC, ESPN, SOAPnet, Pixar — and made it available on iTunes. These deals began in 2005 and quickly brought on the other media companies to follow-suit and make their content available to iTunes. This provided video content — in the form of movies and television shows — in addition to audio content to iTunes. (Making iTunes somewhat of a misnomer). When third-party manufacturers began producing massive amounts of iPod accessories. 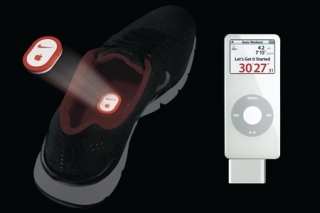 Apple began iPod lifestyle integration and partnerships for home stereos, cars integration, clothing lines, and Nike+. In 2005, Apple setup a iPod accessory royalty program called “Made for iPod,” enabling them to receive a percentage of the profits of the accessories in return for guaranteed compatibility with future iPod designs. This has turned the iPod into a platform in its own right. For example, most new vehicles have iPod integration capabilites. Apple made the CPU switch from IBM/Motorola PowerPC to Intel for their entire line of Macintosh computers. This was a huge and unexpected move. Absolutely brilliant. It was announced in 2005 and implemented in 2006. This was a gutsy move, but in doing so, Apple is positioned to run all x86 compatible software. (Apple BootCamp allows booting in either OS X or the Windows operating system. 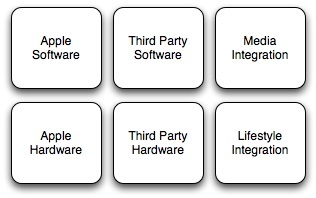 In addition, products such as SWSoft Parallels and VMWare allow users to run Windows and OS X simultaneously). With the CPU switch, Apple could leverage purchasing prices from Intel, as they can threaten to use AMD or Transmeta’s x86 compatible chips. This was not possible when Apple used PowerPC chips, because there was no competition. This also meant Apple could do little if chip development was delayed or ended up being more expensive to purchase than forecasted. In 2006, iWeb was added to iLife. Providing a way to create web pages directly from iLife. Apple made a move into the television market with Apple TV. Announced in 2006, and released in early 2007. Jobs calls it a “hobby” and it is currently a small move into consumers’ living rooms. But in the future, this could end up being the kind of move that digital convergence and the digital lifestyle companies dream about. The AppleTV allows storage and streaming media, such as music, movies, pictures, from all nearby computers wirelessly or wired. 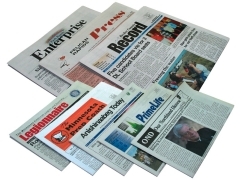 It also uses its Bonjour technology for sharing. Apple also partnered with Google’s YouTube to be shown. Further, in 2007, Jobs made a game-changing move with anti-DRM that has proven to pull in more profits and keep customers happy. People had been complaining that iPod + iTunes locks you in because of Apple FairPlay DRM. They had asked Apple to license FairPlay. Jobs’ did one better, remove DRM altogether. Apple’s next game-changing, master move was the iPhone. Released in the middle of 2007, digital convergence happened. The iPhone combines OS X, the full Safari web browser, a multi-touch screen iPod, a cell phone, etc. Basically, a full-fledged computer. It turned out to be even better than what people had been guessing via their mockups and drawings on web forums. The partnership between Apple and Google was strengthened with the release of the iPhone, due to the inclusion of Google Maps and YouTube integration. These are good moves and will improve Apple’s current product-offerings, but won’t necessarily improve the digital lifestyle. How can Apple further digital convergence? iLife has recently added more .Mac account integration. However, the next step is to add more capabilities so any iLife content can be published online. There should also be an easy way to share media with and add friends to your iLife. To promote feedback, comments should be able to be posted by anyone that has permission to view the content. This is iLife meets social networking. 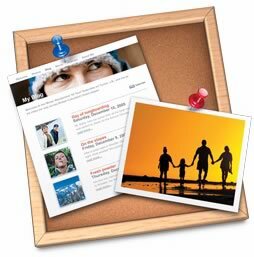 Have the ability to synchronize media across all your machines via .Mac account or Bonjour. If you have several machines, like me, it is difficult to keep your digital music, pictures, movies in synch. With more machines, it becomes increasingly more difficult to know which machine has the latest playlists to connect to my iPod, iPhone, Apple TV. 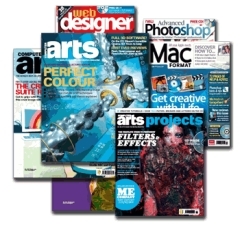 Using iTunes we can download songs and movies; when can we download newspapers, magazines, and books? 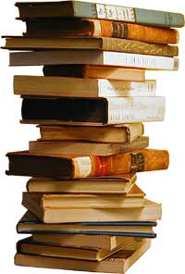 Everyone was talking about e-newspapers and e-books a while ago, well? Convergence of iChat AV from Macintosh, Apple monitors, and iPhone. Web conferencing goes big and iChat AV becomes more popular. (Of course, that means the iPhone needs a camera on the front-side). Allow compatibility with Trillian, Adium, AOL IM, MSN Messenger, Yahoo Messenger, Google Talk, etc. The video game market is a huge entertainment segment. Kids often spend more time playing games then watching television or surfing the web. This lucrative industry is comparable to the movie industry. 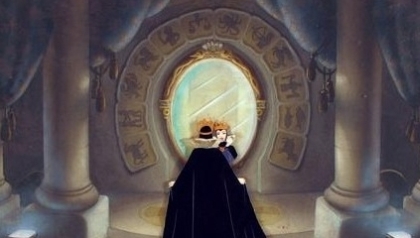 Jobs is possibly the most powerful person in both the entertainment and technology industry. He should be able to place pressure on competitors in this giant market. Apple will either begin designing a game console themselves, partner with another console developer, or add more advanced gaming capabilities to their existing line of products — Macintosh, iPod, iPhone, Apple TV. The last being most likely. In fact, the Macintosh (obviously), iPod, and iPhone have some gaming abilities. iTunes is next. There should be a way to download games via iTunes, not just for the iPod or iPhone, but also for the Macintosh. There are some obvious synergies between Apple and Nintendo (maker of Wii) — such as design, game play, storytelling, and user-interfaces. A deal with Sony (maker of Playstation and PSP) or Microsoft (maker of XBox360) seems less likely. With these seemingly small moves Steve Jobs’ vision of creating the digital lifestyle revolution is just around the corner. This entry was posted on August 15, 2007, 11:01 pm and is filed under Article. You can follow any responses to this entry through RSS 2.0. Both comments and pings are currently closed. This article is well written, accurate and provides useful information. I really think Jesse is on to something here… a lot of ideas I hadn’t thought of with Apple and how they have evolved into this mass multimedia company. Steve Job’s a genius at marketing and aiming to please both the consumer and developers, and do so with ease. 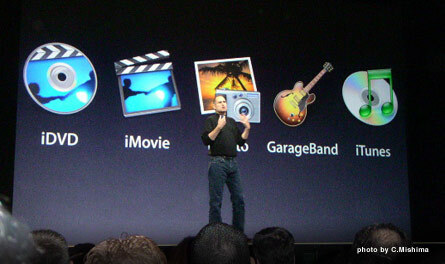 From the Mac computer, to the iPod, to their outstanding applications such as Final Cut Pro and Aperture, to the iPhone of late. I expect great things from Apple down the road. Wow, that is apple fan love. Well done.